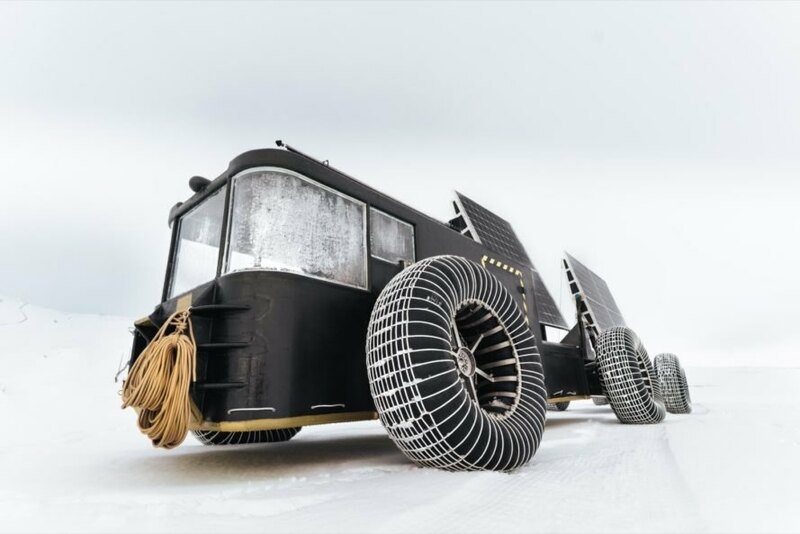 In a bid to promote zero-waste lifestyles, Edwin and Liesbeth ter Velde of Clean2Antarctica will soon embark on a thrilling adventure to one of the coldest places on Earth — Antarctica. 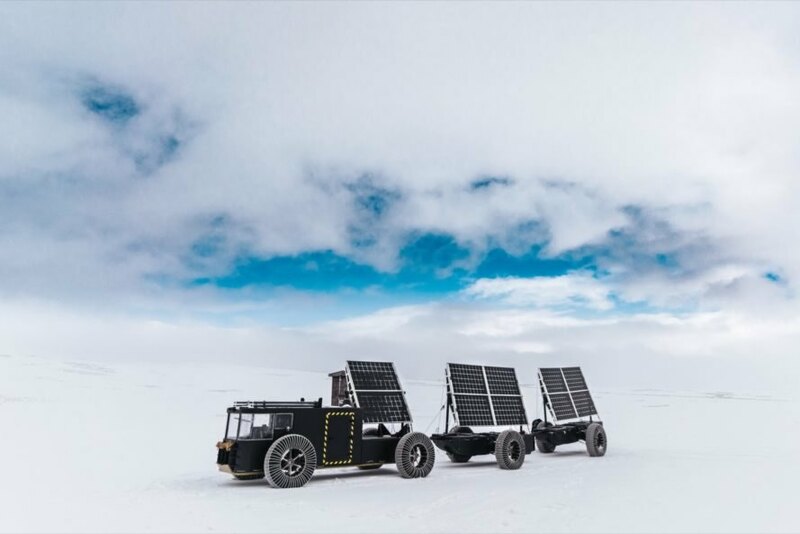 The Dutch couple will drive from their base camp on the southernmost continent to the South Pole in a solar-powered vehicle — called the Solar Voyager — built from upcycled, 3D-printed plastic components. The expedition is expected to take 30 days and will kick off in less than a month on Nov. 28, 2018. 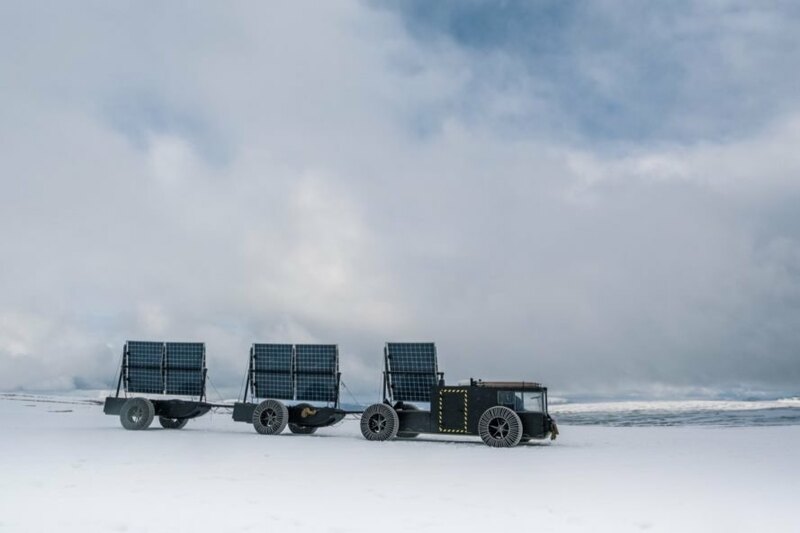 Weighing in at 1,485 kilograms with a length of 16 meters, the Solar Voyager was mainly built from specially engineered, 3D-printed hexagonal blocks, called HexCores, made from industrially recycled PET filament that lock together into a honeycomb-like structure. 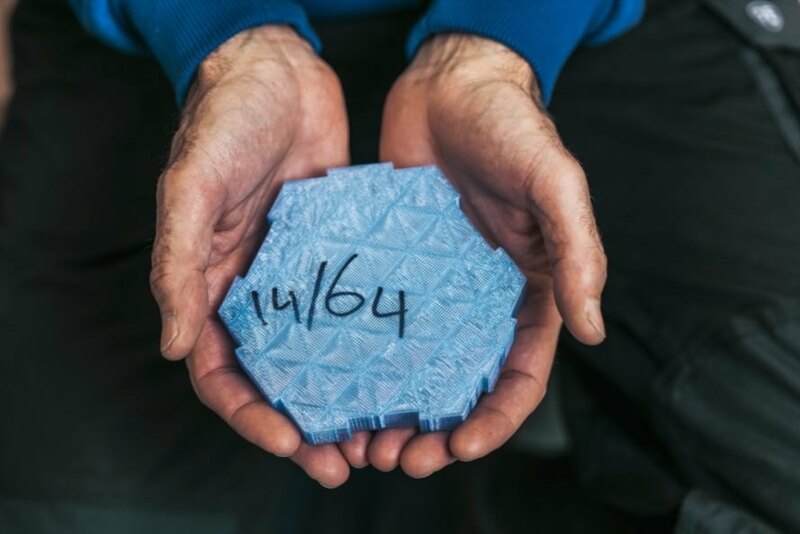 Forty 3D printers were used to transform approximately 200 kilograms of plastic into the chassis of the Solar Voyager, which is held together with 3D-printed knobs that can withstand below freezing temperatures. The vehicle consists of a cab large enough for two people and two trailers on eight netted tires. Mounted on the trailers are 10 bifacial solar panels with 325-Watt peak for powering the Solar Voyager’s engine. Each panel measures nearly 19 square feet and weighs about 25 kilograms. In case of emergencies, the vehicle will be equipped with two 60-kilogram batteries with a total power of 10 kWh. The couple has also included infrared windows for absorbing sunlight and vacuum solar tubes that melt snow. 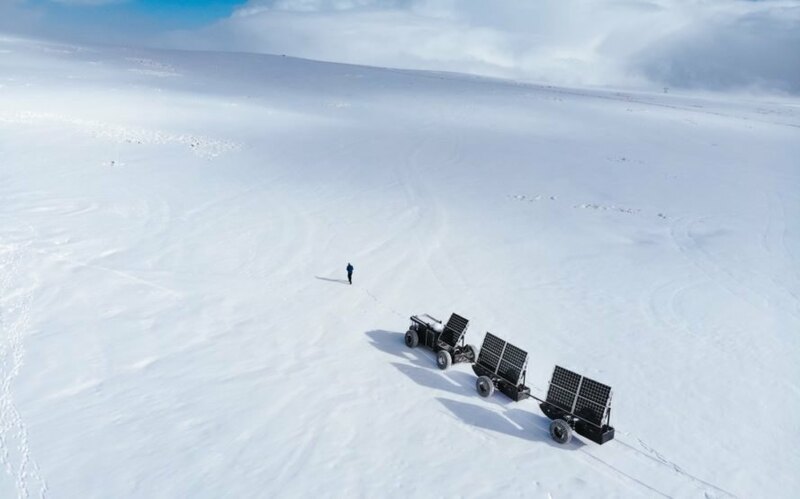 “If driving to the South Pole on solar power was our ultimate goal, we would still be proud of our mission because no one has ever done it before and the technology we developed can become a prototype for Antarctic research drones,” the couple said. “However, it’s not about technology but about starting experiments and discovering what’s possible with waste. To reach a circular society, we need to start doing things differently. 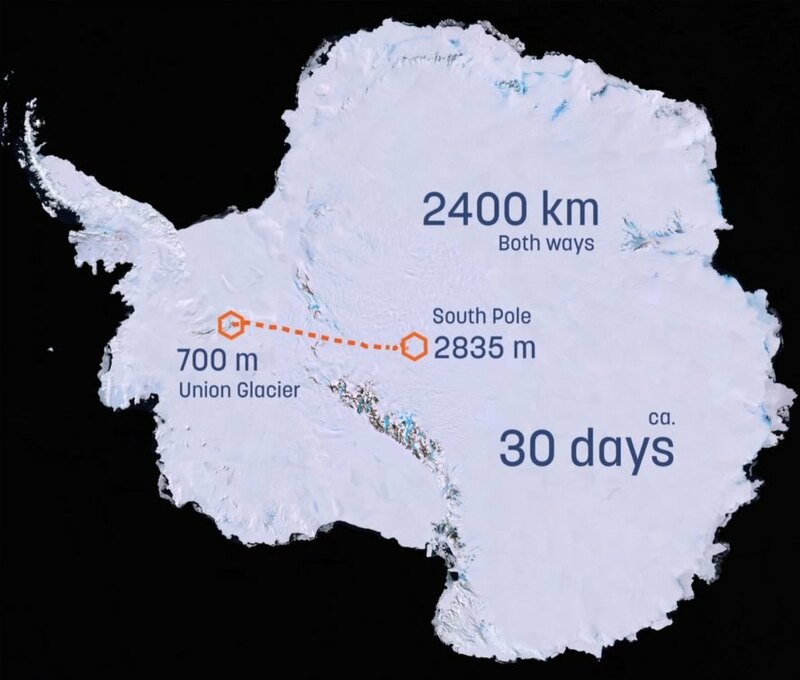 Our expedition is an example how far you can get when you simply start doing things differently instead of talking about abstract solutions.” The expedition is expected to begin November 28 starting from Union Glacier, Antarctica. The Solar Voyager will be followed by a support group of three people for filming purposes.